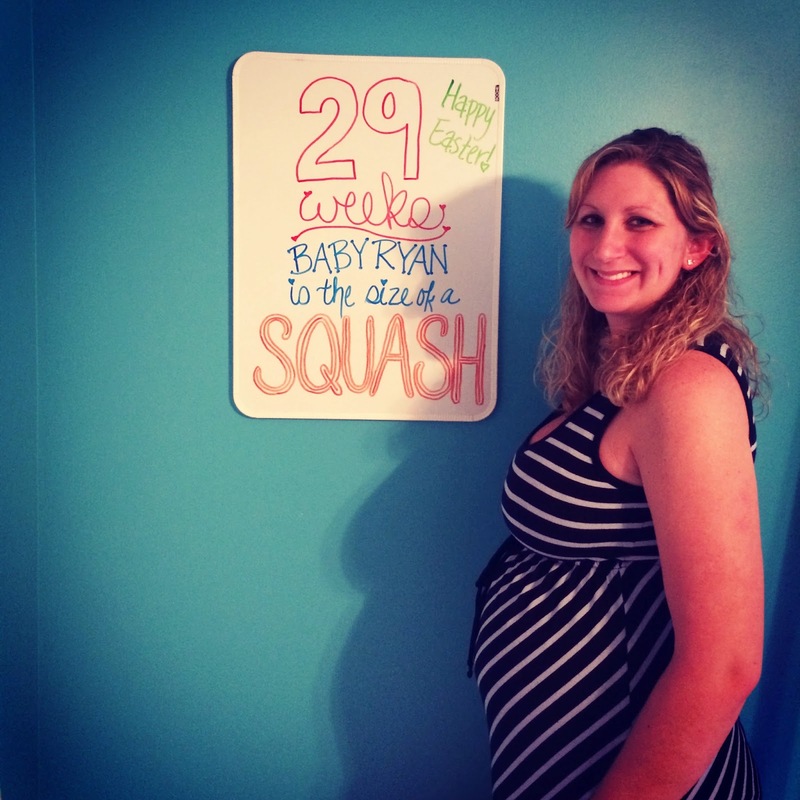 Little Ryan Family: 29 Weeks! Maternity clothes: Oh yes. Sporting one of my maternity dresses for Old Navy in this picture. I love it! Belly button in or out: Still in but making its way out. Sleep: Pretty good, except for getting up to use the bathroom and rolling over. Best moment this week: Celebrating Easter! Holidays filled with food are always great for the pregnant appetite! I also passed my glucose test so bring on the Easter candy! Cravings: Sweets and Chinese food!We had Chinese twice this week! Looking forward to: More of this wonderful warm weather and going to a fundraiser for my old high school this coming weekend! We spent Easter with Tim's family this year. Since our families are so far apart it isn't possible to get to both on the same day so we alternate holidays. This year is Easter and Christmas with Tim's family and Thanksgiving with mine. Next year we will switch. Happy Easter to you all!!! I'm so excited to go home and have some decent Chinese food! I've been craving it too and Rapid City has no good Chinese anywhere! I LOVE Grand Cafe!!! Even if the only thing I like is fried rice, it's amazing!!!! !